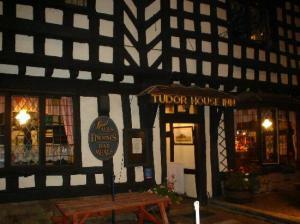 The impressive 15th-century Tudor House Hotel offers charming rooms and good food. Warwick rail station is a 3-minute drive away and there is good access to the M40 motorway. Sample the excellent menu in the quaint, cosy restaurant with exposed beams. 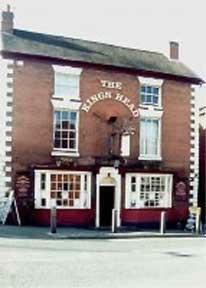 There are real ales and a welcoming pub atmosphere. Some rooms have an indulgent four-poster bed. All of the en suite rooms have a TV and comfortable beds. The historic Warwick Castle and race course are near Tudor House Hotel. Free parking is provided. 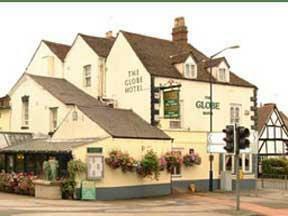 The Globe Hotel is the first and only Thai style hotel in the United Kingdom. A Grade II listed building situated in the heart of historic Warwick. The hotel has been dedicated to accommodating travellers for over a century. The management and the staff at the Globe aims to cater for all of our guests' needs, not just provide facilities. We want you to have an enjoyable stay and return again and again. Hampton lodge is a family-run guest house situated just 8 minutes stroll from all the major attractions including the Royal Shakespeare theatre and town centre. All rooms have an en suite with a shower and toilet. We offer a choice of breakfast menus. Hunters Moon is a small adults-only B&B with free parking and free Wi-Fi internet access. The town centre, train station and Anne Hathaway's Cottage are a short walk away. The guest house is run by the owners, who provide a friendly environment. All rooms are non-smoking and en suite. Stratford Racecourse, Henley in Arden and the M40 are all less than 10 minutes' drive. The NEC and Birmingham International Airport are 25 minutes away. Just 5 minutes' drive from junction 1 of the M6, Brownsover Hall Hotel is a fabulous Grade II listed Victorian Gothic mansion nestling in 7 acres of woodland and gardens. 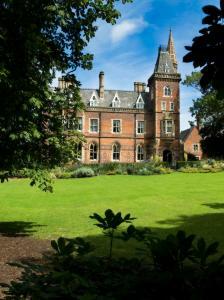 The magnificent building has a dramatic interior with a sweeping staircase and crackling log fires in the winter. Together with the stunning Gilbert Scott restaurant and atmospheric Sir Frank Whittle bar this gives the Brownsover Hall distinct charm. The hotel hosts many weddings and functions throughout the year, so dinner may be served in one of the hotel's beautiful private dining suites. Please check with the hotel at time of booking regarding restaurant services. In a peaceful rural setting on the edge of the Cotswolds, but only 3 miles (5 km) south of Stratford-upon-Avon, this beautifully preserved Georgian house offers charming accommodation. With a great location from which to explore South Warwickshire and the beautiful North Cotswolds, Whitchurch Farm is a family-run bed and breakfast on a working sheep farm. There are 4 centrally heated en suite rooms, each with a TV, a clock radio, a hairdryer and tea/coffee. Free wireless internet access is available throughout. There is a separate guest sitting room with a log burner. A full English breakfast is included in the price, with a range of alternative options also available. Evening meals are available at an additional cost, by prior request. The dining room has won awards from the local council for its breakfasts and from the AA for the outstanding preparation of its food. Locally sourced seasonal produce is used wherever possible, including game and lamb from the farm. Overlooking a floral park, this family-run bed and breakfast is in the heart of Stratford-upon-Avon, just minutes' walk away from all attractions. The Salamander Guest House is an Edwardian building with comfortable en suite bedrooms (no shared bathrooms!). Each bedroom has TV, tea/coffee and central heating. During your stay, you can enter and exit Salamander Guest House whenever you like. There is a car park/garage to the rear of the house. Excellent cooked English breakfasts are available. 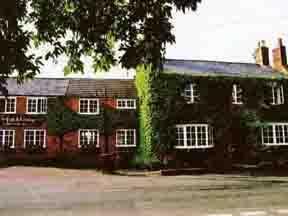 The Stag at Redhill is a family-run hotel located in the heart of Warwickshire's beautiful countryside, on the A46, between Stratford and Alcester and just 3 minutes from Stratford-upon-Avon. The hotel is housed in an impressive 500-year old building, full of character, with many original features. All rooms have en suite bathrooms and television and a king size four-poster room is also available. Guests may wish to explore the many quaint bars, restaurants and theatres that historic Stratford-upon-Avon has to offer, absorbing the heritage of Shakespeare's birthplace. The Stag at Redhill boasts a traditional restaurant and bar with beamed ceilings and an open fireplace offering a cosy, inviting atmosphere. 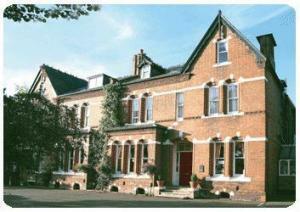 At Victoria Lodge our aim is to provide an excellent level of quality accommodation and service. All of our 10 en suite bedrooms are individually styled and well equipped, offering a refreshing change from a large chain hotel. Kenilworth's central location makes it an ideal place to stay, with easy access to The National Exhibition Centre, The National Agricultural Centre and Warwick University, as well as being a good base for exploring the surrounding areas of Warwick, Stratford-on-Avon and the Cotswolds. The town also boasts Kenilworth Castle, the largest in England, the picturesque old town and a wide variety of restaurants for all tastes, most of which are within walking distance of Victoria Lodge. Close to major motorways, with all its facilities under one roof, this large pub and hotel offers comfortable and competitively priced accommodation, plus outstanding facilities for business and private functions. A relaxing escape from the busy world outside, the 28 en suite rooms are fitted and furnished to ensure your relaxation and comfort. Chase Hotel are proud of their reputation for serving good quality, value for money food with a varied choice. Grand Hotel is a luxurious town-house hotel with outstanding bedrooms. The bedrooms are spacious and airy, with elegant bathrooms. The hotel has an ideal location for business or pleasure and is within minutes of Birmingham International Airport, the NEC, Warwick, Leamington Spa and Stratford-upon-Avon. Feel at home when you stay at The Grand. Club bedrooms are very opulent in decor and design and Executive rooms have a modern style. The sister restaurants, Raffles and The Coconut Lagoon, serve colonial Malaysian and Southern Indian cuisine respectively, and are situated a 5-minute walk away. This historic hotel, restaurant and bar has easy access to the M42, M6 and M1 motorways. East Midlands and Birmingham airports and the NEC are a 30-minute drive away. The Millers Hotel Conference and Training Centre is a beautifully reconstructed village bakery. Many original artefacts remain, including a working mill wheel in the oak-beamed lounge bar. The cosy restaurant, bar and enclosed terrace offer a wide selection of seasonal meals and snacks, Real Ales, wines, and speciality teas and coffees. The hotel has 3 function rooms and comfortable en suite bedrooms with individual character. Millers is in a historic area of outstanding natural beauty where you can visit Twycross Zoo, Mallory Park or the team-building facilities at Garlands Off-Road Centre. Reopened in February 2007, following a programme of comprehensive refurbishment, this luxury boutique hotel offers stylish contemporary accommodation in the heart of the peaceful little town of Shipston-on-Stour. Ideally located for visitors to Warwick, Stratford-upon-Avon and the Cotswolds, the George Hotel has become an instant hit with locals and visitors alike. Fully renovated throughout, the hotel now offers stylish en suite accommodation, fully equipped with contemporary comforts and facilities, such as king-size beds, flat screen TVs, DVD/CD players, complimentary Wi-Fi wireless internet access and iPod docks, enabling you to play your own music. The relaxed atmosphere combined with the gorgeous d?cor, great food and fabulous staff, has proven to be a recipe for success. The hotel prides itself on providing a beautiful, comfortable, luxurious environment for a restful, relaxing, restorative break. Your home away from home. Quality overnight accommodation and breakfast in a comfortable, friendly atmosphere. Fully non-smoking property. A warm welcome awaits you when you arrive at Brook Lodge, a guest house where quality, comfort and convenience combine to make each stay a pleasant one. The extensive private parking, the well-maintained garden and peaceful brook will make you feel welcome immediately on arrival. With a relaxed and tranquil atmosphere, this elegant Regency property is the oldest hotel in the heart of fashionable Royal Leamington Spa's town centre. 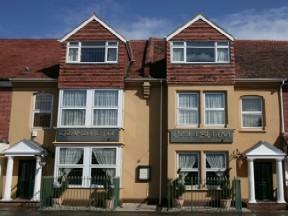 Within walking distance of the town's Royal Priors shopping centre, the Lansdowne Hotel has a great central location. With the hotel as a comfortable base you can visit local tourist attractions including Warwick Castle, Kenilworth Castle, Compton Verney Art Gallery, Jephson Gardens, Pump Rooms, Coventry Cathedral and Coventry Transport Museum. Shakespeare's birthplace, Stratford-upon-Avon, is also within easy reach, as are many other historic towns and villages. The hotel is just a few minutes' walk from the bowling green, a few minutes' drive from the National Agriculture Centre (NAC) and about half an hour's journey from the National Exhibition Centre (NEC). With just 14 en suite rooms, the hotel offers a warm and personal welcome, and features a sitting room with cable TV. 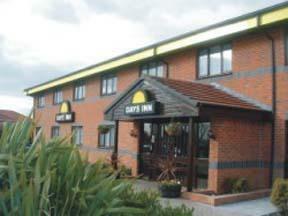 Days Inn Nuneaton is located on the a444 just minutes from Junction 3 of m6 close to Coventry, Nuneaton and the NEC. This brand new hotel offers a high standard of accommodation at outstanding value for money. If you are visiting the Ricoh Arena Coventry or the NEC, The Days Inn Nuneaton is a great place to stay - just 5 minutes drive from the Ricoh Arena and just 20 minutes drive from the NEC. This great value hotel offers style and comfort where it matters - All of the rooms are designed in a bright contemporary style with luxury Hypnos beds white cotton duvets. Rooms have spacious desks and plasma tvs with a choice of digital channels and radio. The superb en suite shower rooms are complete with walk-in power showers and heated towels rails- rooms are also equipped with a good hair dryer. There is a choice of King Size Doubles, Work zone Doubles, Twins, Disabled access rooms and Family Suites and all rooms have the same quality design. The hotel has a comfortable coffee lounge and bar area with a large screen plasma TV. Another great aspect of this hotel is the adjacent food and leisure facilities: Bermuda Park has Frankie & Benny's Restaurant, a multi screen Odean Cinema, a Lakeside Super bowl, a Big Steak pub. Adjacent to the hotel is the great value AYCEB Chinese Restaurant which offers a wide variety of traditional Chinese dishes and freshly prepared food. Residents benefit from discounted rates at this restaurant and we also offer inclusive Dinner Bed and Breakfast packages. There are two meeting rooms available, each equipped with up to date business facilities. The Best Western Falstaff Hotel is ideal for corporate stays, weekend breaks or 'Murder Mystery' weekends, surrounded by Royal Leamington Spa and historic Warwick and Stratford-upon-Avon. The Best Western Falstaff Hotel has an elegant lounge and a stylish bar. Gleaming silver and sparkling glass are on show in the hotel restaurant, where there is a high standard of food and service. The menus mix traditional English and continental styles, using local produce and served with fine wines. Book a thrilling 'Murder Mystery' weekend at the Best Western Falstaff Hotel (see below for dates). Lasting Friday evening to Sunday morning, including dinner and breakfast, you'll still have plenty of time to explore Leamington Spa. Originally built in the 19th century, the Best Western Falstaff Hotel does not have a lift. On the M40, Days Inn Warwick South Hotel offers access to the surrounding countryside, including Leamington. Enjoy comfortable modern rooms, great for the NEC and Birmingham Airport. 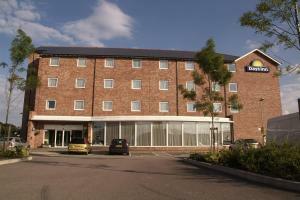 Fully refurbished in 2004, this Days Inn is ideal location for the NEC and Warwick Castle. The hotel offers free parking and en suite rooms with tea/coffee and a free morning newspaper. You can enjoy all of the facilities of the 'Welcome Break' service station, plus the many catering outlets, making Days Inn Hotel Warwick terrific value. Just 800 metres from the town centre and Rugby Railway Station, and less than 3 miles (5 km) from the M6, the hotel offers free Wi-Fi, free parking and individually styled en suite rooms. 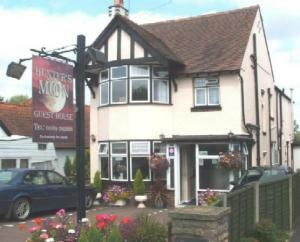 The Grosvenor Hotel is within easy walking distance of Rugby's town centre and the railway station. Just 5 minutes' drive from junction 1 of the M6 motorway, the hotel's convenient location offers good access to Coventry, Warwick, Stratford-upon-Avon and the National Exhibition Centre (NEC) in Birmingham. All of the en suite rooms are indidually decorated with their own unique charm. The newly refurbished bar and restaurant offer traditional British dishes and international classics every day of the week. Small and privately owned, the hotel offers personalised service and great value, whether you are exploring the area as a tourist or visiting on business. This elegant Georgian house is set within the pretty riverside village of Bidford on Avon, just a few miles from Shakepeare's Stratford-upon-Avon. The hotel is easily accessible from the M5, M40/42 motorways, with the NEC and Birmingham airport only a 25-minute drive away. Bidford has a wide selection of restaurants and pubs to choose from. 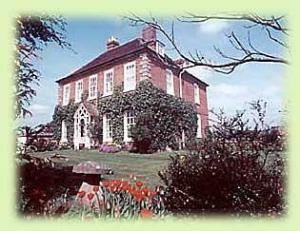 Fosbroke House has a patio area and gardens to enjoy in fine weather. The hotel has private off road parking. Close to Warwick and Stratford-upon-Avon, this modern hotel off junction 15 of the M40 is 20 minutes from the NEC and Birmingham International Airport. Hilton Warwick has excellent links to the M42, M6 and M5. The hotel features a fine restaurant, cafe and lounge bar with wireless internet. LivingWell leisure centre has an indoor pool, sauna, steam room and gym. Located in historic Warwickshire, Hilton Warwick is close to Warwick Castle, the Royal Shakespeare Theatre and the Shakespeare Birthplace Trust. Amid 65 acres of beautiful English countryside, this stunning secluded hideaway is a mix of traditional and contemporary facilities, superbly situated between historic Warwick and cultural Stratford-upon-Avon. Following a sensitive restoration project, the Barcel? Walton Hall offers a range of premium rooms, with many offering beautiful lake and garden views and featuring combinations of antique and contemporary dark wood furniture. A short walk from the hall, the coach house offers convenient standard accommodation. Book one of the premium rooms to benefit from being personally shown to your room, with your luggage delivered by the concierge. Take advantage of a traditional shoe shine service and enjoy a complimentary midweek newspaper. Please note that room service is only available in Premium rooms.